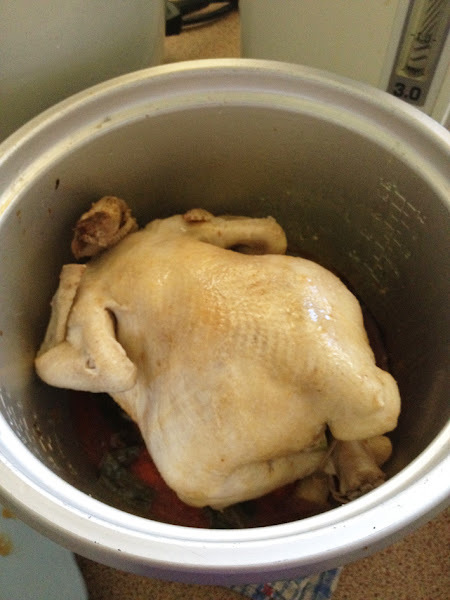 Have you ever cooked a chicken from a rice cooker before? Well, it is definitely first time for me! It works!! and guess what??! It's super juicy tender and delicious!! OMG! I was digging the packet stuff out from the pantry to check what we've got in the pantry. You know.. when you got too many things in the pantry.. you just don't know what's in it anymore? Yea, that's what happen to our pantry. Never ending sauces, tins and bottles, and packets of marinates! So then, I found this Salted Chicken Powder. hmm.. I like chicken! I like salted chicken! Why not? I'll try this! I think my aunt gave this to me when she came over from Malaysia to visit her son. I'm not too sure myself. But I have Whatsapp my sis, send her a photo of it and she confirmed to me that they have this in Malaysia. haha I love Whatsapp. 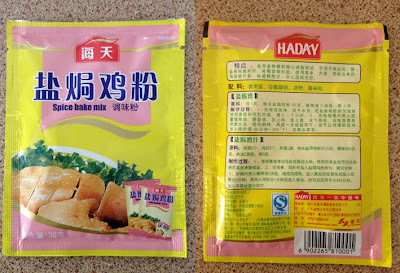 This packet of salted chicken powder thing really amazed me because it says in the instructions that you can cook the chicken in the rice cooker. I'm like what?! Did I read it wrongly? This rice cooker?? 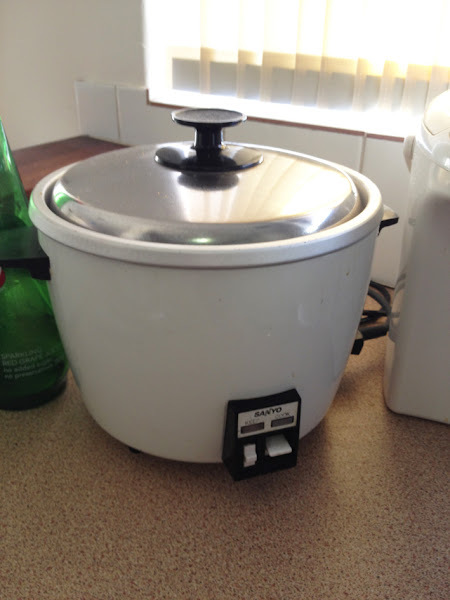 Good O fashion rice cooker! Chicken in the rice cooker it is! The way of making it is really easy. Marinate the chicken inside out with the powder for 2-3 hours. 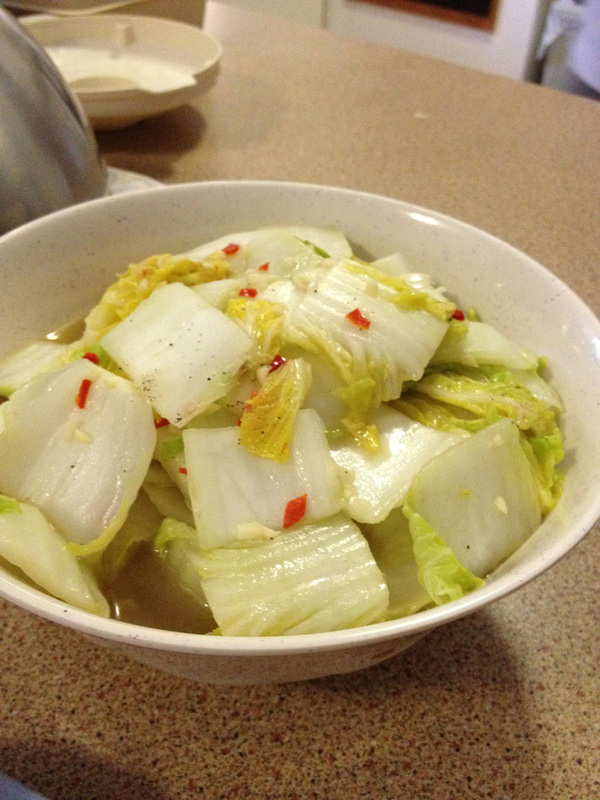 Put 2 tablespoon of vegetable oil in the rice cooker then layer some spring onions at the base of the rice cooker. 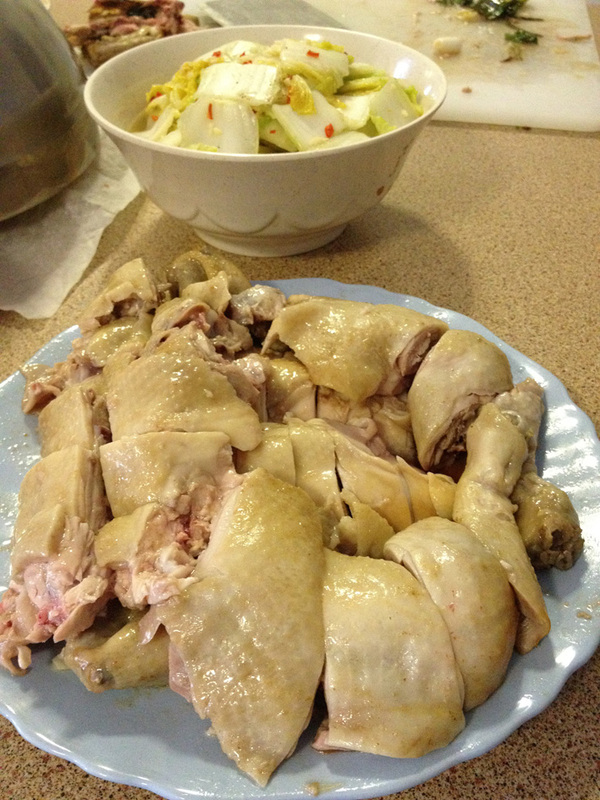 (This is to prevent the chicken from burning and gives extra flavour) Then put the chicken on top. Close the lid, press the cook button and let it cook! After the cook button jumps off, turn the chicken and press the cook button again. That's it! You will hear sizzle sizzle going on from the rice cooker while cooking. and I got a nice, juicy and tender chicken! Seriously no joke. The breast meat were tender too! We loved it! WOW i want to try it too! cool!